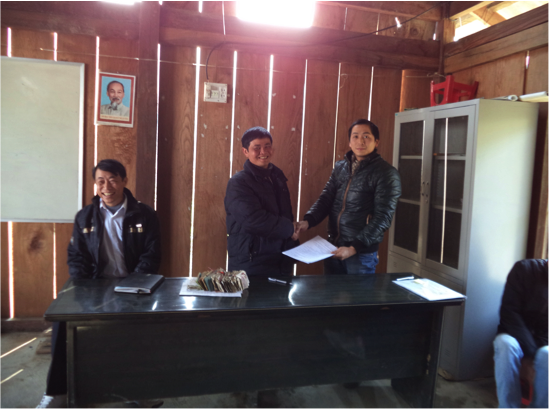 January 2014 saw a 3 year contract renewal signed by neighbouring communities in Viet Nam, ensuring an end to the conflict between the two villages and an increase in environmentally smart and sustainable practices in the region. Residents of Pac Ngoi, a small tourist centre in the Ba Be national park, are reaping the benefits of better relations with their upstream neighbours; the village of Ban Duong in Hoang Tri Commune. 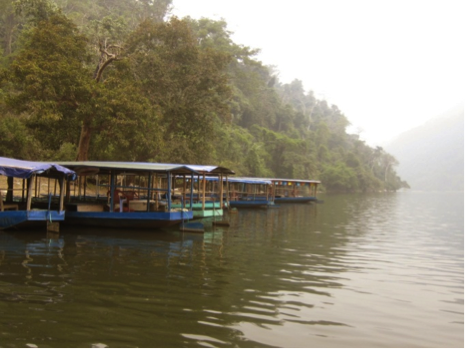 The residents of Pac Ngoi depend upon the river and tourism for their livelihood. However, tourism revenue was slipping as concerns over pollution levels from Ban Duong have been increasing. There are 99 households in Pac Ngoi, of which 21 have boats and 14 have guesthouses. Tourism accounts for 80 per cent of the economy with residents offering boat excursions, plus lodging and meals at the guesthouses. The residents of Pac Ngoi had often made requests to their upstream neighbours to reduce deforestation activities and waste disposal directly in to their shared water course. But they were always refused. Back in 2012 The Global Environment Facility (GEF) working through IFAD, as the implementing agency, decided to create a ‘payment for environmental services’ (PES) project in the district, due to mounting conflict and environmental destruction. The project drew on a study group of 30 local residents to answer two questions; I) ‘why the Ba Be lake is not well maintained compared to before’, and II) ‘why the Ba Be attracts less tourists’. Following this study it was agreed to establish a fund, paid by Pac Ngoi to the upstream communities, in exchange for forest protection and solid waste management. 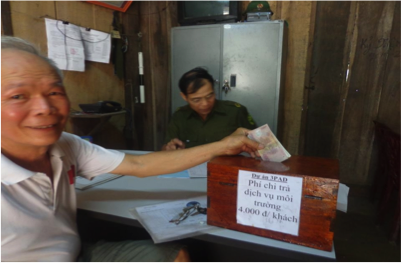 The fund is financed by two percent of the gross receipts from boat excursions and VND 4,000 per homestay guest. The people of Ban Duong had been throwing animal corpses and plastic bags and bottles into the stream which alongside forest loss/degradation was causing environmental damage and loss of tourism. 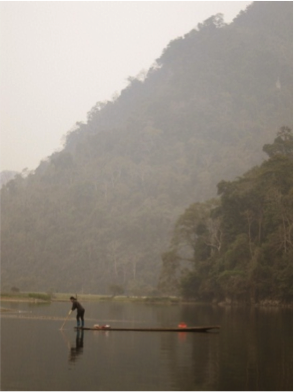 In February 2013, the neighbouring communities entered into a one-year, pilot agreement, consisting of payment to Ban Duong in exchange for them stopping the throwing waste into the streams draining into Ba Be Lake and to reduce forest loss/degradation in their forestlands. To date two payments totalling more than VND 26 million (~ USD 1,300) have been made to the upstream community. The payments will be paid quarterly, and funds are kept in the local police station, with access only allowed when all three party representatives are present, ensuring trust in the programme. 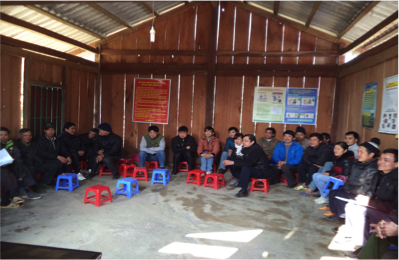 Find out more about IFAD operations in Vietnam.